The ninth annual LUCKYRICE Breaking Bao: New York Feast rolls into the Bowery Hotel on November 16, bringing together some of NYC’s most buzzed-about chefs under one sweet-smelling roof. 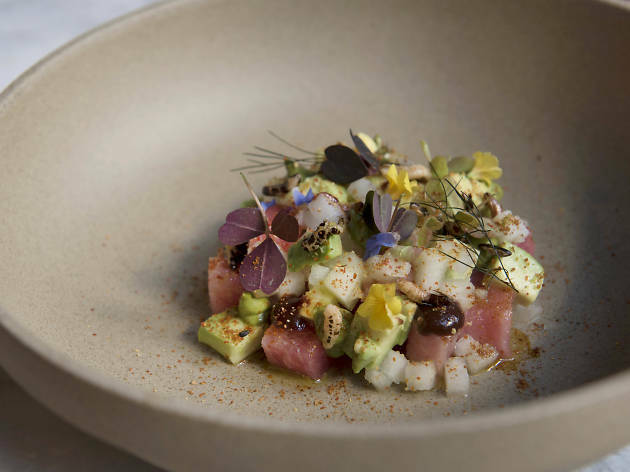 The focus of this year’s LUCKYRICE Feast is off-menu items, meaning attendees can taste their way through an array of remarkable dishes that you won’t find in any local restaurant. We’re talking top-secret family recipes, creative twists on popular Asian street foods and steaming noodles and dumplings galore from culinary masterminds like Martin Chan (Tim Ho Wan), Sujan Sarkar (Baar Baar) and Sarah Lee (Kimbap Lab). The grub only scratches the surface. Your ticket also gets you chilled, delicious beer from 133-year-old Japanese brewery Kirin Ichiban, which promises to take your tasting experience at the event to a whole new level. 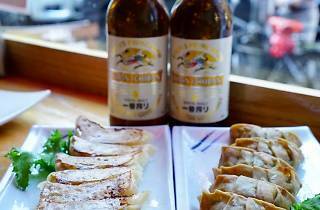 Long associated with Japanese food, the lager is loaded with notes of umami, so it actually pairs like a champ with the range of sweet, salty, bitter and spicy flavors so characteristic of all the Asian dishes you’ll try at this year’s LUCKYRICE Feast event. 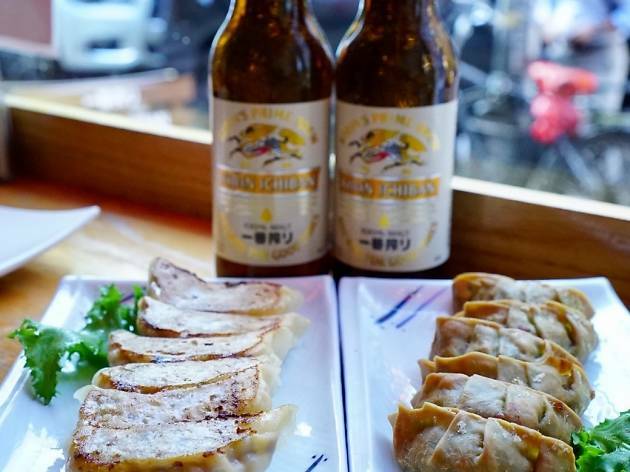 The mission behind the beer—embracing adventure and encouraging us all to #choosefortune—also complements the event’s theme, which gives venturesome foodies the chance to try all kinds of dishes from across the Asian continent. What are these dishes we’re referring to, you ask? That’s about as hush-hush as the recipes themselves, but, with the help of Kirin and LUCKYRICE, we’ve scoured the menu to bring you the six dishes most worthy of seeking out at the event. Have the long lines kept you from being able to try Michelin-starred hotspot Tim Ho Wan in the Village? LUCKYRICE gives you a chance to belly up to the counter with chef Martin Chan, who’s sharing a couple of his favorite personal dim sum recipes at the event. 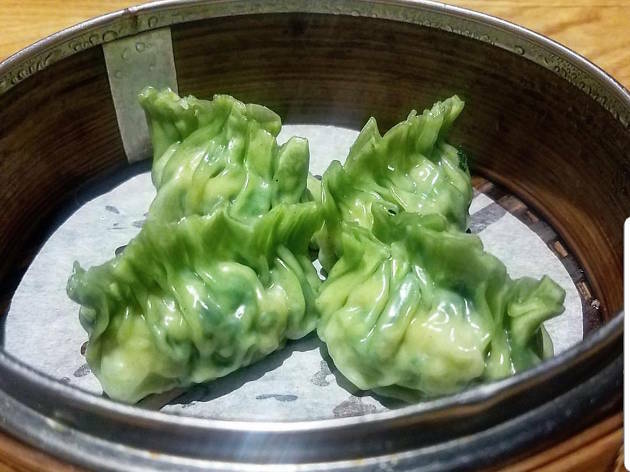 He describes his offerings—spinach and asparagus dumplings, each steamed onsite and stuffed with fresh shrimp—as a straightforward recipe that mirrors Tim Ho Wan’s emphasis on soul-warming, traditional Chinese dim sum made fresh every day. Williamsburg Korean joint Kimbap Lab specializes in a traditional Korean comfort food called kimbap, which, while it looks like sushi, differs from the Japanese staple in the fact that it incorporates fully cooked proteins and rice that’s been seasoned with sesame oil rather than vinegar. 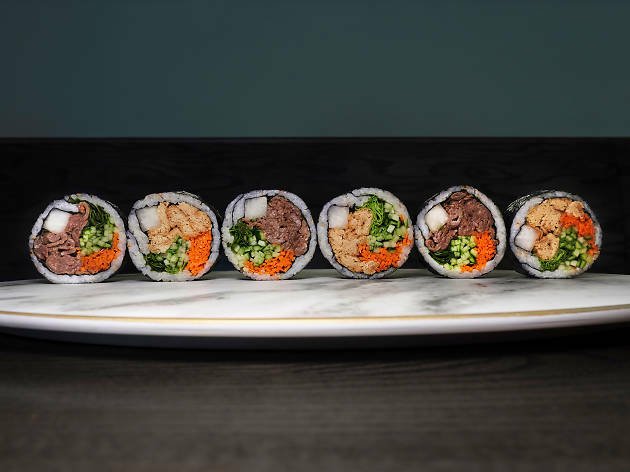 Chef and owner Sarah Lee is bringing two versions to LUCKYRICE: a yubu vegan roll served with seaweed puree and pickled onion and jalapeño, and, for the meat eaters among us, a spicy pork roll drizzled with Korean mustard aioli and topped with pickled radish. 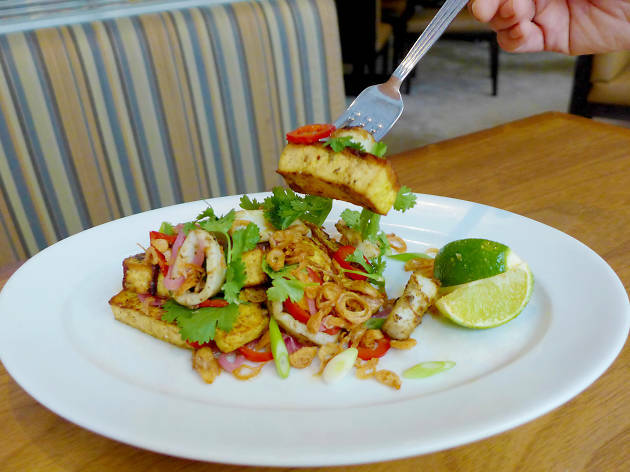 Chef Priscilla Yeh, who presides over the food offerings at Empire State Building eatery STATE Grill and Bar, comes to the event bearing her go-to potluck item: a riff on her Aunt Lily’s tofu salad. Inspired by her native Shan Province in Burma, Aunt Lily’s version follows tradition, combining tofu with chickpea flour and seasoning it with lime juice, tamarind, onions, cilantro and fish sauce. She then serves it with poached chicken and Chinese fish cakes. How does Yeh switch it up? She chucks the chicken and fish cakes and serves hers with fresh squid instead. Sweet-toothed New Yorkers can’t get enough of the decadent confections coming out of Lady M. The dessert emporium specializes in a French no-bake delicacy called mille crêpes that stacks nearly a dozen crispy, paper-thin crêpes to form a cake that can be frosted, powdered or layered with a variety of sweet spreads. For the event, Lady M brings a Japanese-style mille crêpe, infused with green tea powder and a fluffy pastry cream. 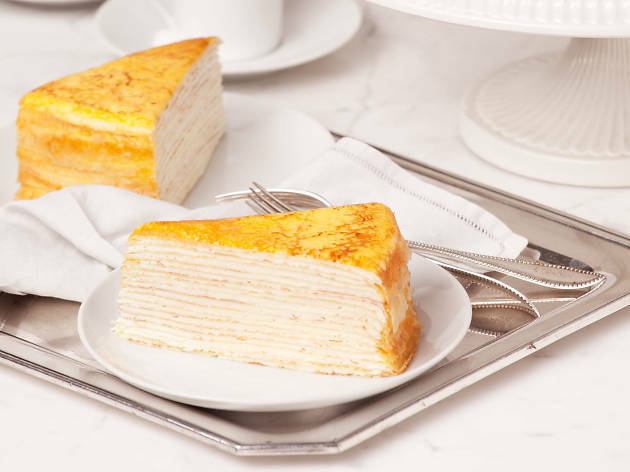 Keen to try a more straightforward recipe?They'll have one of Lady M’s signature mille crêpes on hand, too, which is frosted with a pastry cream that’s been caramelized until it’s golden brown. Be sure to try it with a Kirin in hand. You’ll be surprised at how the beer pairs just as well with sweet things as it does savory bites. Rawsome Treats’ pastry chef and self-proclaimed health nut Watt Sriboonruang reps another local sweets shop—but this one has a decidedly more wholesome twist. 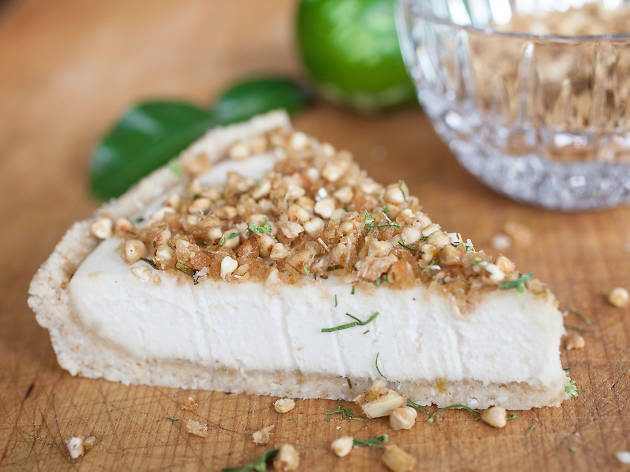 Her Lower East Side bakery cranks out more than 30 varieties of pies, cakes and other desserts—all made with raw, plant-based ingredients. Her LUCKYRICE contribution, a “savory dessert pie” she calls the Crunchy Thaiger, tows the boundary between sweet and savory with ingredients like lemongrass, kaffir lime leaves, limes and chili peppers. Again, try it with a swig of Kirin. The combination of lip-puckering lime and spicy chili peppers harmonizes well with the balancing hints of umami. Traditional Indian food gets a 21st-century update in the capable hands of Sujan Sarkar, who serves up inventive dishes such as bone-marrow kulcha and lemon-foam oysters at his East Village Indian restaurant Baar Baar. Head to his booth at LUCKYRICE to try his version of bhel, a popular street food he says he grew up eating in India. The savory puffed black rice dish is typically served with vegetables and a tangy tamarind sauce, but Sarkar puts his spin on it by adding tuna. The result is a heartier, more protein-rich snack.